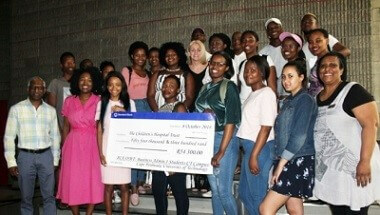 CPUT first year students recently donated R54 300 to the Red Cross Children’s Hospital Trust. The Business Administration 1 students and lecturer Belinda Berman, who is the project’s facilitator, recently handed over the cheque to the Trust on the District Six Campus. The money was raised earlier this year and will be spent towards the upgrading and extension of the Hospital’s Paediatric Intensive Care Unit. 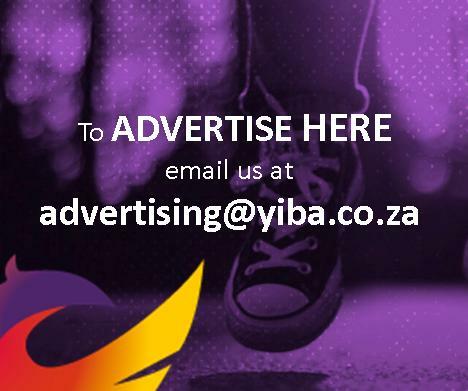 The Department of Business and Information Administration started the initiative in 2009 as a Business Administration 1 live academic entrepreneurship project and has to date donated a R430 685 to the Trust. During the handover, Head of the Department, Prof Visvanathan Naicker, thanked everyone who was involved for their “hard work” in raising the donation for “a good cause”. Naicker said when the students graduate they will have a proven track record of fundraising. Every year, prizes are awarded to the student team who has the best academic portfolio and the team that raises the most profit. All students receive a certificate of participation and merit certificates are issued to the winning teams. Pauline Solomons, a Fundraiser at The Children’s Hospital Trust, said the students’ longstanding donations entitle them to shares in the Hospital and the partnership has grown incredibly over the past nine years. “The hospital treats 250 000 children every year,” said Solomons. Another Fundraiser at the Trust, Nokuthula Bonga, said the Hospital upgrades include installing a lift and redesigning the floor near the entrance. Berman said the project’s academic portfolio will also help the students with project management in the future. She thanked all the students for their time and efforts and expressed how proud she was that they had embraced the spirit of ubuntu.